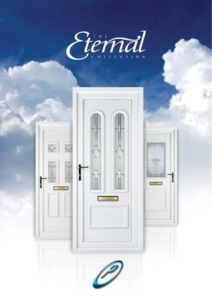 Every taste is catered for with a wide range of designs spanning traditional and contemporary door designs. And in addition to the classic welcoming white that we started out with you can also choose from a selection of increasingly popular coloured uPVC doors in Oak and Rosewood finishes. All Trimco Door and Conservatory Panels are supplied with a 10 year guarantee against fading, cracking, warping or sealed unit failure. A range of White and Woodgrain Door Panels are offered to match the leading Door and Window profiles available in the UK and Europe. All sealed units are manufactured to EN1279 and supplied with toughened safety glass where possible (Certain restrictions apply to the very smallest apertures in the Ashley and Karen Door Panels). A choice of Pilkington© patterned backing glass to create your own level of privacy is available for the majority of glazing options. Visit our Pilkington Decorative Glass Brochure for more details.